How Can University Students Get Internship in Nigeria? Finding and getting hired for an internship in Nigeria can be a challenging process. There are a plethora of websites and job boards out there. To ensure you’re maximizing your chances of landing that dream internship job it’s imperative to know where the best places are to look. Below are some great resources on where to look for those internships followed by some helpful tips when applying. EduAnsa – EduAnsa is an educational site that is committed to helping students secure I.T Placement in Nigeria. The site also provide students with guides, resources, articles and materials with valuable information you need to succeed at school. Here students can find SIWES/Industrial training placement round-the-year across Nigeria – Lagos, Abuja, Port Harcourt, Owerrri, Kaduna and many more cities. University students in Nigeria can follow 4 easy steps to get internship in Nigeria at EduAnsa site. 2) Search: Click through Apply Here for Internship that companies have posted on the portal (at the top right widget of this site) through Indeed job board. 3) Click the available intern jobs and apply: No registration required for application. You can click on the “Next” button for more intern positions of your choice and apply for free. You can also search for intern jobs that matches your interest and location by typing in the job title or keyword in the “what” box and your city, state or zip code in the “where” box. 4) Selection: Companies will evaluate your application and get in touch with you trough phone/email. Twitter- Twitter is an excellent resource for finding that perfect internship. You can search for internships using hashtags or visiting some of the many accounts dedicated to posting internships within your field and desired location. LinkedIn- Some of the best internships can be found through networking. Once you make a connection on LinkedIn, send a personal message to a recruiter or hiring manager. You can ask for an informational interview if they are a recruiter. Customize your internship search by field, location, and other parameters. Read: How To Use LinkedIn To Get Your Dream Job: The Best Tips! Indeed.com- Many of job listings on Indeed come from major job boards, and company pages. Indeed allows you to save searches and have internship listings delivered via email alert through RSS feeds making it an excellent resource. Career blogs – This one is about as good as you can get. Subscribe to RSS feeds of career blogs in Nigeria and websites that you are likely to get fresh job listing. In case you are new to this, an RSS feed is a format for delivering regularly changing web content, and it is used by news-related sites, blogs, and other online publishers. RSS feeds will provide you with a single page list view of all the newest updates on your favourite blogs or websites you subscribe to. So, you don’t necessarily have to visit each blog or website to get information on them. Get a good feed reader. This is a program that allows you to grab the RSS feeds from various websites and display them for you to read and use. So, rather than checking through the RSS feeds of multiple websites, a feed reader combines them all in one single location, so you can view the latest updates on hundreds of blogs and websites at a time. Netvibes and Pageflakes are examples of web based feed readers that you can use. 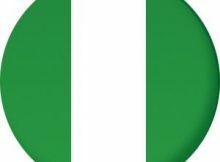 Nairaland.com – Nigerian discussion forum (Nairaland) offers threads in many different categories. This forum is a great source of information where you can easily get info about latest interns listing. Internships.com – Internships.com boasts a broad search criteria that spans major, industry, location, and company. Additional resources like intern stories and a blog as well as tips for improving your interview skills make it extremely helpful. Looksharp.com – InternMatch.com has one main focus, internships. Take advantage of their search engine, and many resources when applying for your dream internship. This site is helpful for those who wish to intern abroad. Professional Associations- Some Professional associations in Nigeria specialize in a particular occupational area and often times will post internships or can be helpful in directing you to a specific career fair or employer looking to bring hire an intern. If you have not yet identify with your professional body, please do so by reading this post. State and Local Employment Agencies- Each state has a government-sponsored employment agency. These agencies will assist residents in finding employment and often times internships. Many agencies are broken up by sector and vary from state to state. Check with your local agency on how to apply. Google Alert – If you are particularly interested in internship jobs related to specific location, you can use Google Alerts to get the latest information on your selected location. All you have to do is set up Google Alerts for any phrase, and you will receive an email whenever new content containing that phrase is indexed by Google. If your phrase is too specific, you may get updates only at sporadic intervals. And if your phrase is too generic, your email box will almost explode due to too many updates from Google Alerts. Most of the time when applying for internship in Nigeria, applications will be sent via email directly to the hiring manager. Here are some tips to make a professional impression. Analyze and clean up your digital footprint if necessary. Make sure to search yourself online by simply googling yourself. Employers will search for you online. Be sure to delete anything damaging to your reputation. Use your university I.T letter when sending your application. Attached please find my I.T letter and resume for the 2016 internship at (Place you are applying). I’m currently a student at the XYZ University and am very interested in gaining school credit for this opportunity. I look forward to hearing from you. Your I.T letter and resume should be sent as separate documents. When saving your résumé and I.T letter be sure to make it professional. For example saving it as (Your Name) Resume and (Your Name) I.T Letter. Now you have the tools necessary to find and apply to that internship in Nigeria. Follow these helpful tips and be persistent in your pursuit and it will pay dividends in the end. I certainly welcome all of your comments and suggestions as I will focus on the more traditional job websites in a forthcoming advice article. Let me know what you think! Nice one John! I really love the article. Its truly helpful. Some online sites like MyJobMag. com has made application easier and faster. Applications can be made through the site. I got called for an interview after applying through MyJobMag.com Linkedin a professional network is also very useful too because jobs are being posted on daily basis and its a good site for networking.